I’m hoping that all of the contributing writers can add their own favorite films list. I think some of the most interesting things you can learn about a person are the various forms of art and media they consume. Their favorite music, books, art, and of course films, can say a lot about the type of human being they are. I won’t pretend that my list is the definitive list of the ten greatest films ever made but they are the movies that I find myself returning to over and over because every time I experience them, I notice or am enchanted by new and different aspects of the film. I also won’t place these in a top 10 format. It was hard enough to narrow it down to ten, much less rank them. That would be next to impossible. The definitive David Lynch film. It’s more than just a normal linear film. It breaks down everything we ever knew about linear storytelling and crushes it down to create a work of art that has almost no peer. The greatest way I can describe is that it’s a mystery film that lies somewhere between heaven and hell and the main storyteller is the experiences we bring to it. A visual, stunning masterpiece. Fellini’s surrealistic statement about excess and selfishness in the heart of Rome. The more I watch it, the more I fall in love with the way that it weaves from dream to dream until it reaches its climax that is firmly rooted in a mirror of reality that is truly depressing. The most fun, suspenseful, well directed, and well acted “monster movie” ever made. Its palpable sense of dread and mystery surrounding the shark are only enhanced by the way Spielberg treats it as a force of nature that hunts and kills but isn’t seen. The unpredictability of the shark mixed with the classic score by John Williams are only part of the experience. What really takes it over the top is the humanity provided by the three male leads of Roy Scheider, Richard Dreyfuss, and Robert Shaw. Their chemistry is absolutely fantastic and raises the movie to another level. The most stylistic and fun independent movie ever made. 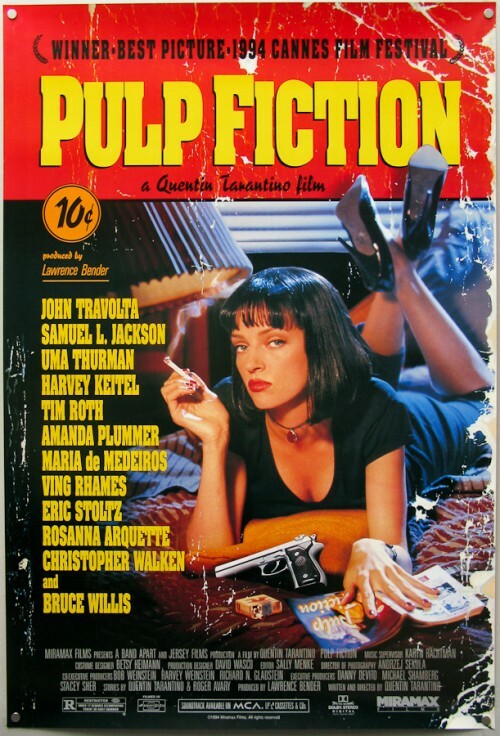 This is the one that made Quentin Tarantino a household name and returned John Travolta to super stardom. The dialogue is unforgettable, the sense of style unmistakable, and the energy level it maintains throughout is unmatched. My favorite screenplay ever written for the big screen contains career performances from one of the best male ensemble casts ever formed. It manages to weave a tightly bound balance between funny, tragic, depressing, angry, and thoughtful the way that few movies ever could. The greatest science fiction film ever made. It asks far more questions than it answers by the time of its completion but it is so intelligent, so well shot and directed, and so amazingly written that it almost exists in a plane above all other movies. 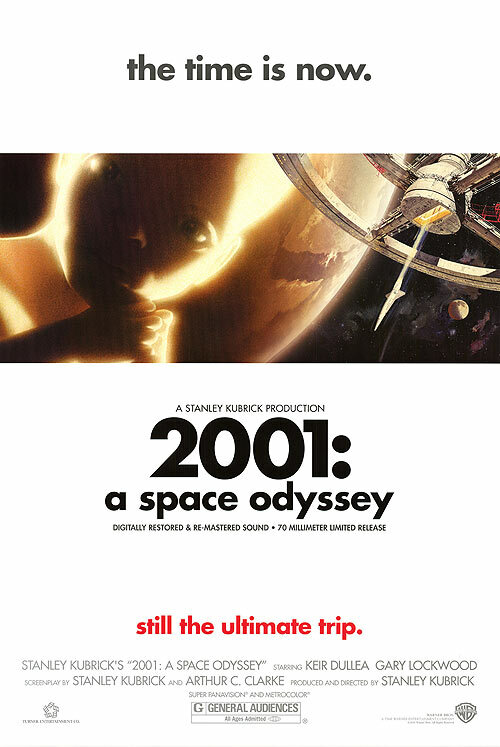 It manages in a 2 hour time frame to show the human race as it started, into the future, and how it could potentially evolve into something greater. 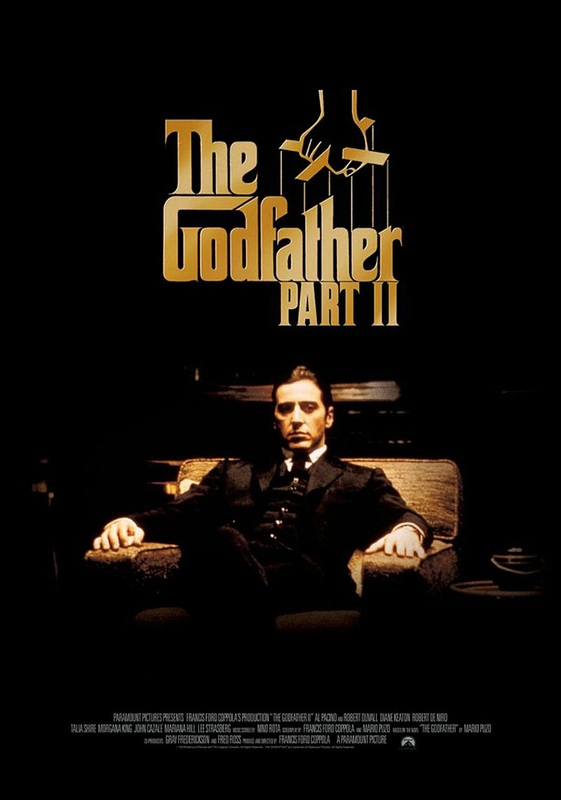 I love the original Godfather almost as much but I chose the second because I felt it tells a more interesting tale. The original was about how Michael Corleone could possibly become a part of his family’s business. But, the second shows how he could go off the deep end and put the business ahead of his family. The original story of Don Vito weaving with the tale of Michael is a feat of epic storytelling that should not be missed by anyone who loves cinema. Akira Kurosawa’s visionary masterpiece mixes American westerns with Eastern samurai culture to create something unmatched in either genre in terms of style and storytelling. Each character is fleshed out in real and believable ways that will have you gripped from start to finish. It’s the greatest Japanese film ever put on celluloid. I live for the “out of body” feeling that you get when you watch a movie that is so stylistically and thematically confident that you feel that you’re standing next to the characters on screen. 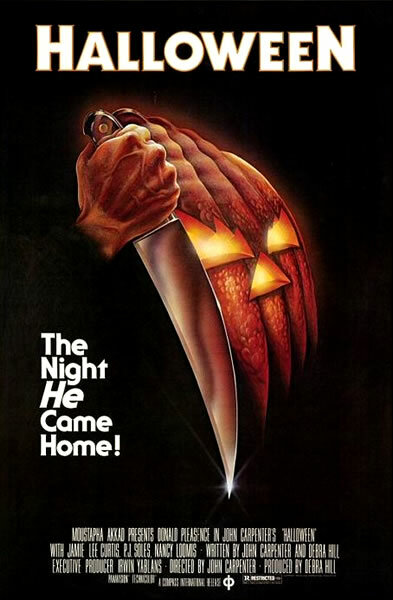 John Carpenter’s film doesn’t have great acting, great dialogue, or even a strong story. But, what it does have is a visceral and powerful way of grabbing a hold of you and not shaking you from the experience. The camerawork, lighting, and mood are unmatched with its genre and I find myself just as on the edge of my seat now, when I know the scares, as I always have. Martin Scorsese’s brilliant masterpiece about the loneliest man on Earth in the one of the most populated places there is. 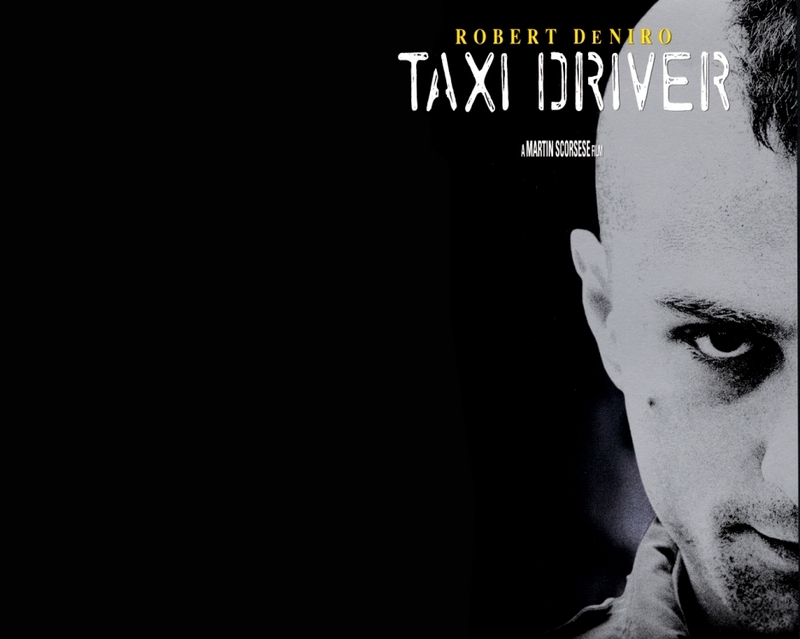 Robert Deniro’s Travis Bickle is a man who doesn’t exist within any form of sane normalcy. 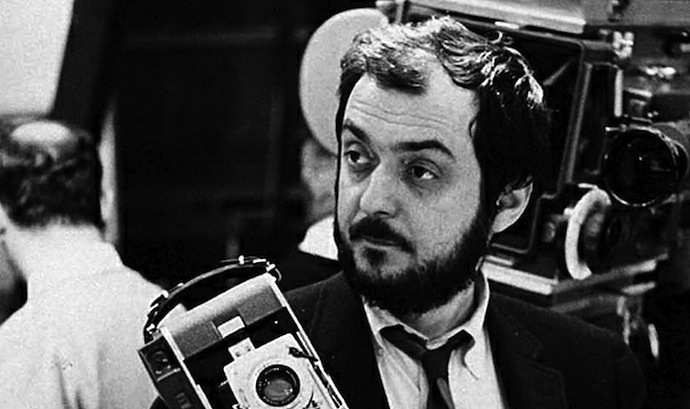 What makes the film so great is that it isn’t interested in you viewing him as crazy. It’s more interested in showing the world from his perspective so that you can feel what it’s like to share his thoughts and fears. It’s a powerful statement about what’s really sane in our culture and the power of violence when shown from a different angle. 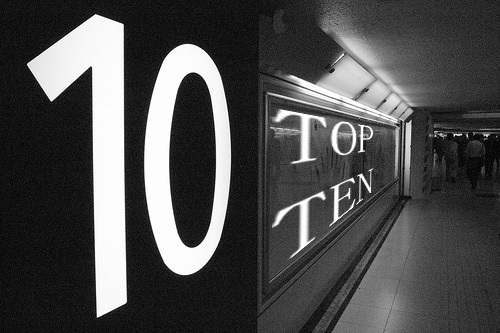 I hope you enjoyed my list and feel free to share your thoughts as well as your own top ten lists! Impressive list Brian. 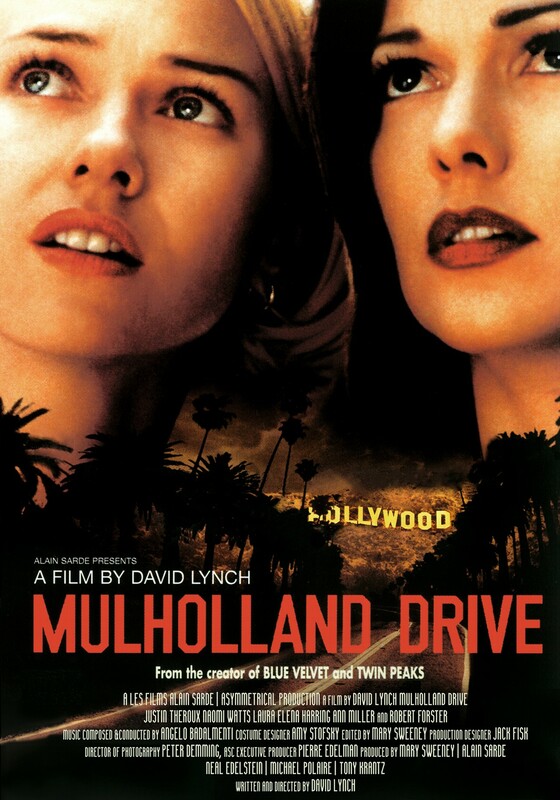 Love the inclusion of Mullholland Drive. I often wonder why that’s not in mine. Great movie. I watched both Jaws and The Godfather II over the weekend, nice list! I would love to add another 15 films!! It was really hard coming up with this top 10. From your list, I haven’t seen La Dolce Vita. 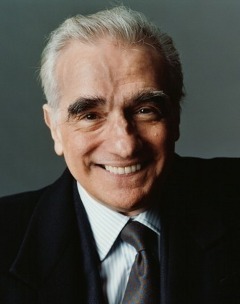 And I don’t love Taxi Driver or Halloween, but I respect both. Really, I’d call everything on your list well above average, especially Glengary Glen Ross. Such a good movie. 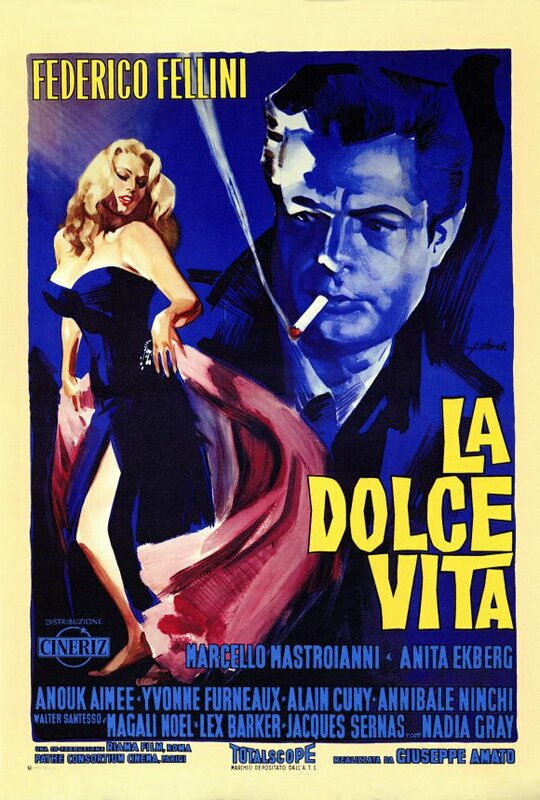 La Dolce Vita is a must see. It’s one of those movies that reminds me why I fell in love with watching films in the first place. 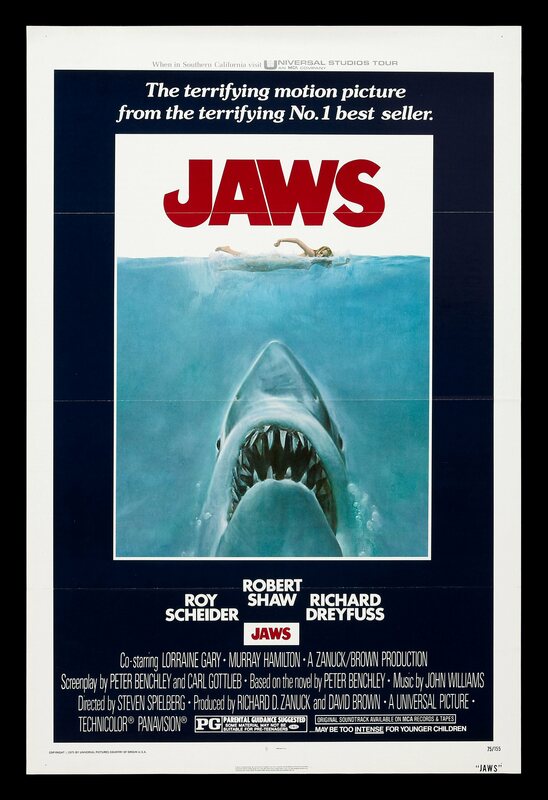 Brilliant choice of films, great to see Jaws there as well and 2001, as well as Seven Samurai not sure I would be able to make up my mind about a top ten movies, so many great films to choose from. Thank you! So difficult to make a list like this but I’ll add another 15 and make a top 25 and actually rank them. It might take a while, lol. List are always quite difficult to do, but fun as well. Will look forward to reading the top 15 and top 25 lists when you do them. Sure you will have fun putting them together. Great list. Far too many I haven’t seen though. 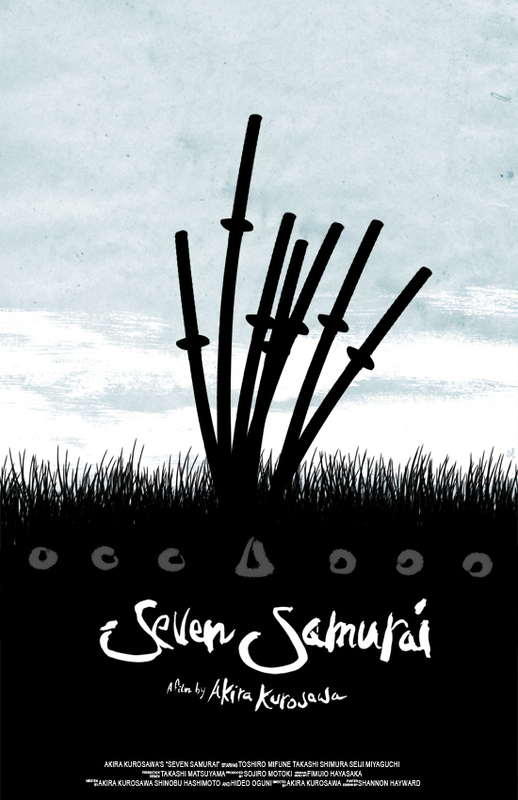 Don’t feel I can call myself a film fan until I’ve seen Seven Samurai. Those are 10 wicked picks buddy. 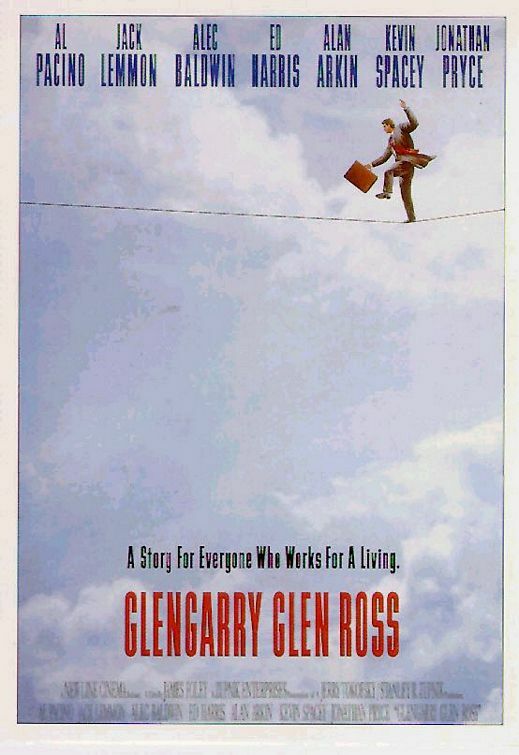 Hats off to you for the inclusion of Glengarry Glenn Ross too. I was happily surprised he included GGR. Such a great film. I’m glad you liked the post! Thanks for stopping by! Some great picks there Brian. 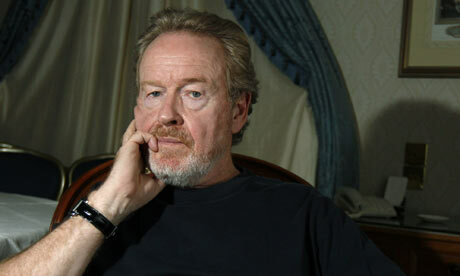 You’ve reminded me I still need to see Mulholland Drive and Glengarry Glen Ross too! Very nice list! I love the great variety. Several movies mentioned that I really love. Great list Brian! Awesome choices. Big fan of you including Glen Garry Glen Ross.